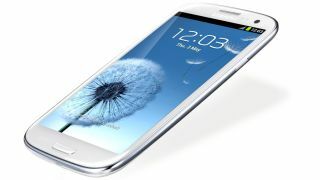 Samsung may have missed out on shifting 2 million additional Galaxy S3 handsets thanks to supply shortages. We reported at the end of May that the pebble blue Samsung Galaxy S3 was in short supply after a manufacturing issue saw thousands of the cases binned. Coupled with record pre-orders, Samsung has struggled to keep up with the huge demand from customers for its latest flagship handset and analysts suggest the Korean firm may have lost out on sales. According to Gartner analyst Carolina Milanesi, "Samsung might have been caught off guard by the demand, not because they did not believe in their own products, but because they might have over-estimated the competition." That said, Samsung isn't exactly doing badly, with total sales of the Samsung Galaxy S3 expected to hit 10 million by the end of July – just two months after the handset was launched. To find out more on this popular handset, checkout out our huge, in-depth Samsung Galaxy S3 review, or take a gander at the video below.